which describes precisely the Tale of Two Female Politicians and what they are willing to do to change the course of history in politics. I speak of presidential candidate Hillary Rodham Clinton, Democrat from New York, and soon-to-be-former governor Kathleen Babineaux Blanco, Democrat from Louisiana. Tears. Prolific Tears. It works for some women in all walks of life, but does it have a place in politics? If you interviewed these two female democrats, the answer would be yes! 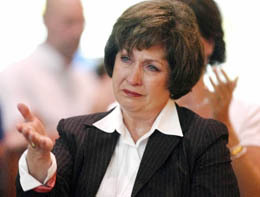 Blanco Tears: In 2003, during a gubernatorial debate Kathleen Blanco made an emotional appeal to the voters of Louisiana in which she recalled the death of her son while tears filled her eyes. The next day , if my memory serves me correct, a pollster claimed that women voters in North Louisiana (who were previously not responding to Blanco) were polling faster in her favor than the paparazzi chasing Brittney Spears. The result: Blanco won the seat of Governor of Louisiana. Tears worked better than any ads the Blanco campaign ran to date for the primary proving political consultants can’t hold a candle to the tears of a woman when it comes to garnering votes. even if they are sympathetic votes. Clinton Tears: Just days before the New Hampshire caucus Hillary Clinton was speaking in a coffee shop (covered extensively by the media) when she answered a question “how do you do it” meaning the stress of a presidential campaign. 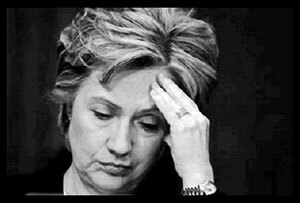 Clinton lowers her voice and with tears welled up in her eyes says “it’s not easy, it’s not easy” and the rest is history. The result: Clinton’s tears won her the New Hampshire caucus. Tears or no tears, Blanco did not prove well under the pressure of Katrina’s aftermath for thousands that were stranded and found wanting in New Orleans. The same goes for Clinton who claimed there was a “vast right wing conspiracy” when her husband was playing in the oval office with intern Monica Lewinsky; neither did her tears work while under extreme pressure of the Whitewater debacle.